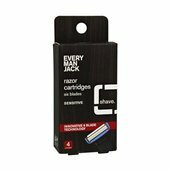 With six fine, stainless steel blades our easy-to-rinse cartridges are built for your closest shave ever. The open flow design allows hair follicles and shaving cream to pass through cleanly, eliminating corrosion and extending blade life. A lubricating strip with an effective combination of Olive Oil, Chamomile & Herbal Extract moisturizes, soothes, and protects even the most sensitive skin. guaranteed. Directions: Cleanse with warm water and Every Man Jack face wash or face scrub, which softens the skin and relaxes hair follicles. 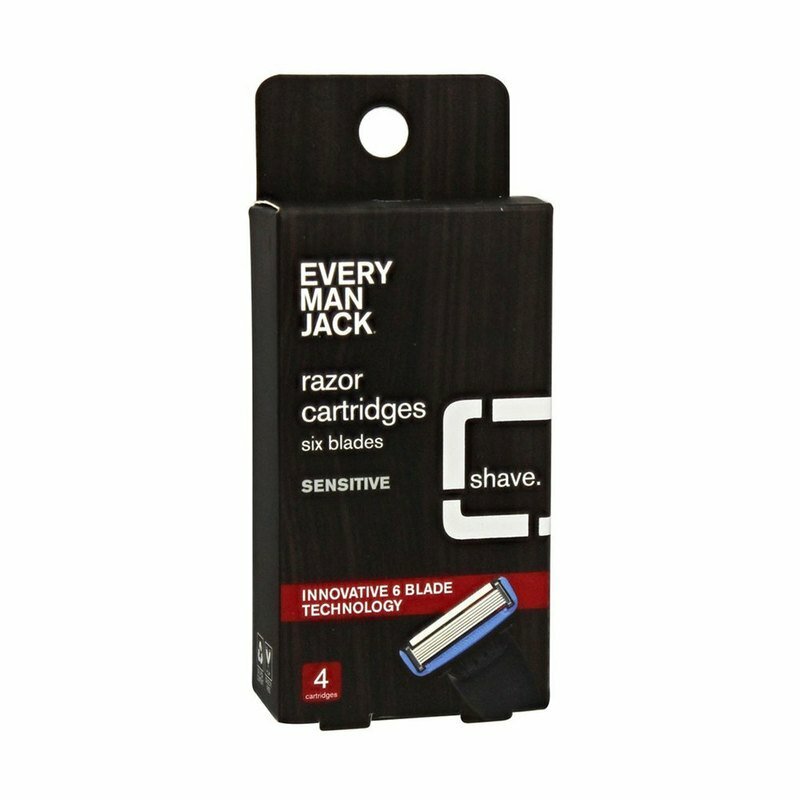 Apply Every Man Jackshave cream or shave gel. Always shave with the grain. Never against it. Rinse with cool water, which closes pores and soothes sensitive skin. 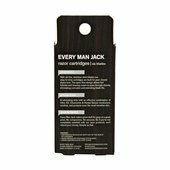 Apply Every Man Jack face lotion to hydrate and protect. Dry your razor thoroughly by patting with a towel. Store it someplace open and dry.